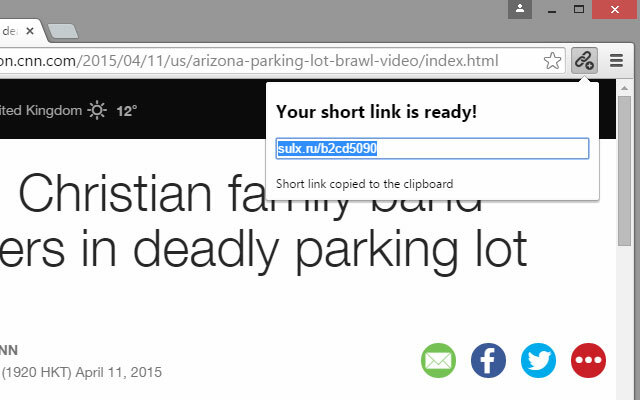 This extension for Chrome browser allows one-click to create a short link to addresses in the current tab. You can insert a short link to social networks and blogs. Just click on one button - and the link will magically in your clipboard! After registration you will http://sulx.ru optional, such as: statistics referrals. And it's all free for you. Shot URL LinX - this is easiest and fastest way to create a short link!